Well-being comes from living well. Living well means taking care of your body and being sensitive to its needs. It means giving your body enough rest and relaxation - mentally, physically and emotionally - so that it can restore and renew itself naturally. 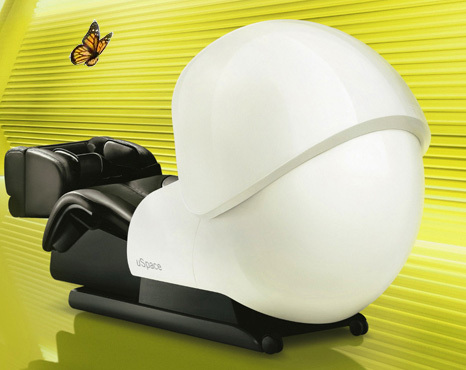 With 5 distinct combinations of clinically proven Mood Light, Synchronised Music and Massage Programmes, Harmony Massage Chair enables you to live well by helping you to relax, sleep, recharge, harmonise and massage well. The assaults of modern living take its toll on the body, weakening the natural process of regeneration. Stress levels are high and your body is weakened. 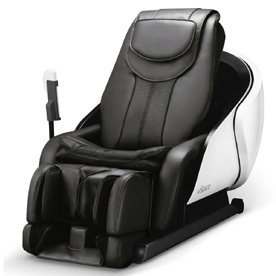 Relax well in the quiet sanctuary of the Harmony Massage Chair. Let its soothing Synchronised Music, Massage and the gently changing hues of the innovative Harmony Mood Light calm your hurried mind as you retreat into your personal cocoon of well-being and renewal. Using a range of cool hues that modulate between the blues, the turquoises and the greens, Harmony's RELAX mood light soothes and calms the mind. This mood light programme moves in slow, flowing rhythms to induce a sense of peace and serenity. The RELAX music uses Alpha waves to reduce stress and encourage relaxation by promoting a deep calm. Select FULL BODY RELIEF massage programme that offers overall relief from fatigue and muscle aches.